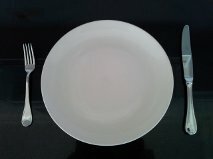 FASTING and CALORIE RESTRICTION can slow, and even stop, cancer progression, tumour growth and metastases, kill cancer cells and significantly improve chemotherapy and radiotherapy effectiveness; fasting has also been shown to boost the immune system, de-fat both the liver and pancreas, and significantly reduce chemotherapy side-effects. A fast is also something to seriously consider when having chemotherapy - from two days before to the day after. Finally Fasting can increase Longevity. Fasting has been a part of the treatment of illness since Hippocrates and Plutarch was quoted as asserting, ‘Instead of using medicine, rather fast a day’. Between 2008 and 2013 there have been a number of research studies suggesting fasting can have significant beneficial effects with people trying to beat cancer, halting cancer progression and improving survival. It is also becoming clear that when fasting, your healthy cells respond to hormones that shut them down. So a fast 2 days before, plus the day of chemotherapy and half a day after, for example, means less uptake of the drug by healthy cells, leaving more free to be taken up by the cancer cells. The net result is less side-effects, but more cancer cell death from the chemo drug. It’s a win-win situation. One final benefit is that fasting and juice fasting can help detoxify and de-fat the liver, regenerating its power. By de-fatting the liver, two British Professors (Taylor and Lean) have shown you can clean up the pancreas too. Perhaps the ultimate expert in this field is Dr. Valter Longo, Professor of Biochemistry at the University of Southern California. He is a biogerontologist and has studied the effects of diet, particularly on cellular protections. He runs the Longo Foundation and has launched a product called ProLon which helps people mimic the effects of fasting. Longo has written a book called The Longevity Diet. Other experts such as Dr Dominic D'Agostino, Assistant Professor of Molecular Pharmacology, University of South Florida and the Max-Plank Institute have shown that fasting can play an important therapeutic role in the Treatment of cancer. Let's be absolutely clear what we are talking about! This is the new American fad where health 'experts' have decided you should not eat after 6 pm, and only start again after 10.00 or 11.00 or 12.00 the next morning. So you are limiting your eating period to 6-8 hours a day. It is also called Time Restricted Eating (TRE). As you will see, TRF is all about calorie consumption. The research on the benefits is rather mixed (4). Human studies show that people tend to eat less calories and seem to lose weight (although not in all the studies). Of course, it depends on what types of food you actually eat during the eating period. This same 2014 study did find that there were benefits in lower concentrations of glucose, triglycerides and LDL, with higher HDL levels. One study (5), which looked at 'Ramadan fasting' over a 10-year period, saw subjects with a previous history of cardiovascular disease show benefits in systolic blood pressure, lipid profile, weight and BMI. However, an earlier study (6) showed no significant changes in serum cholesterol, LDL and triglycerides, although some benefit in inflammatory markers. One theory is that if Time Restricted Fasting does cause you to lose weight, your blood statistics improve. If it doesn't, they don't! So, there is a ’trend’, a ’belief’, that ’Time Restricted Fasting’ is an important strategy for anything and everything from cancer to longevity. Not every research study has gone well. People who do this properly, understand this involves days in the week, not hours in the day. Intermittent fasting is significantly more beneficial. It's when you eat for five days, but fast for two. A few people practice Alternate Day Fasting. The big difference is that while Time Restricted Fasting is all about how many calories you consume in an 8 hour period against how many you would have eaten in a 24 hour period, and thus weight loss and its potential benefits, Intermittent Fasting is about activating the body's self-defence mechanisms. It is all about hormones. When you have fasted for 24 hours, the body produces sirtuins, particularly SIRT1 and SIRT3. According to a meta-analysis (7), these alter your insulin levels and reduce insulin resistance, they alter your anti-oxidant response and they alter glycolysis. They make the body less prone to oxidative stress, alter metabolic homeostasis and can restrict cell division. In cancer, sirtuins can slow or stop cancer growth and enhance the effects of certain cancer drugs. Sirtuins, and particularly SIRT2, also have a significant effect on longevity and ageing. In war-time Belgium and Norway, a lack of food often meant people went without eating for several days and this prompted a major hormone change in the body. A University of Florida team has shown (8) that the effect of sirtuins on insulin and other hormones protects the health of cells and encourages longevity. In Intermittent fasting, you don't actually have to just drink water, you can merely go down to two days at 25% of normal calorie intake. Calorie restriction (a reduction in energy intake without malnutrition - usually involving a reduction by 15% of carbohydrate calories consumed) is an interesting concept in the health field. It is linked to increased lifespan, better metabolism and reduced risk of chronic illness (1). 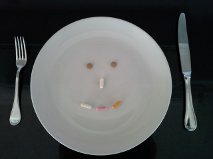 Calorie restriction is good for you! Research studies with animals have shown longevity improvements of up to 40 per cent by reducing the intake of daily calories consumed to just 10 to 15 per cent below normal levels. Again this is because calorie restriction causes the body to produce sirtuins, hormones that protect it in times of the stress starvation might produce. A 2007 report on research evidence by Krista A Vardy and Marc K Hellerstein showed that Alternate Day Fasting (where every other day, there is a fast consisting only of a 400 calorie meal for women and a 600 calorie meal for men) was associated with reduced blood levels of glucose, insulin, IGF-1 and ‘bad’ fats, with a long-term reduced risk of chronic diseases including diabetes, cardiovascular disease and cancer. In 2014 Dr Valter Longo of University of Southern California showed that fasting caused ’old’ white immune cells to die. These were replaced from stem cells as soon as the subject recommenced eating. Thus a three day fast could regenerate a strong immune system. Dr. Dominic D’Agostino has done a considerable amount of work on Calorie Restriction, fasting and Ketosis. He confirmed that carbohydrate restriction per se will reduce levels of blood glucose, insulin and IGF-1, all implicated in the cancer development process. But a complete fast forces the body, with no blood sugar, to make Ketone Bodies - it causes a state of Ketosis. However, while this is healthy in itself, he believes that when you have your next meal containing carbohydrates, the glucose and hormone levels will spike. In early 2013, The Oncologist magazine commented in the Editorial on research from Chicago that showed restricting calories in patients having radiotherapy produced better results. It suggested the same might be true of chemotherapy and calorie restriction. Clinical trials have confirmed this. So much for the NHS booklets telling you to pour dairy, sugar and sticky buns down your throat when having chemotherapy! More research papers and reviews come out every month, and it is becoming more widely accepted that calorie restriction and/or fasting can improve the efficacy of chemotherapy, radiotherapy and even immunotherapy, whilst reducing side-effects. The theory was simple. Fasting causes a message to be sent to your cells telling them to shut down. Their metabolic rate declines and so they don’t take on board the chemotherapy, leaving more for the cancer cells which are metabolising vigorously. Result - more dead cancer cells, less damage to health cells. Longo researched this theory in mice in 2008. The theory was proven correct with two additions. Fasting alone caused cancer cells to self-destruct; they didn’t understand the ’shut down’ message and so kept metabolising but with no nutrients, resulting in cell death. Secondly, not only was there reduced tumor activity but spread was also simultaneously reduced. Research continued until 2012. It was shown that fasting alone could achieve these results in 5 out of eight cancer types. But repeated 2-3 day bursts of fasting with chemotherapy bursts was far more successful(3). In tests with mice, 20% of those with metastases that fasted and had chemo were cured; 40% of those without spread. Human studies are covered below. It is now widely accepted among advocates of fasting that you should fast for 2-3 days before your chemo, the day of chemo and one day afterwards. Patients report far less sickness; and studies report less neutropenia and other damaging side-effects. Let us now go into this in more detail. This is actually really important; but simple to understand. Whether you are an advocate of Ayurvedic Medicine, a disciple of Longo or having chemo, on a real fast you should drink water only for 3 to 5 days. No more, no less. To repeat: this type of fast brings plasma glucose, IGF-1 and insulin levels down to zero, it restricts free glutamine levels, reducing glutamate, stops cancer progression, stops metastases, makes chemo work better (and you need less chemo to achieve the same results) and helps reboot the immune system. A juice fast (organic vegetables to a maximum of 800 calories a day), used of an 11 day to 60 day period, reduces cholesterol and triglyceride levels and reverses diabetes. Go to: Two UK Professors reverse Diabetes. Putting your body into a state of Ketosis? The success of fasting and/or cutting carbohydrates by 15% as a way of fighting cancer has been taken by fans as giving yet more credibility to the Ketogenic Diet - an extreme form of the Rainbow Diet where carbs are just 2% of total calories; protein is just 8% and fats at 90% form the bulk of the diet. At CANCERactive we have already reviewed the Ketogenic Diet (Click Here). The core thinking is to deprive the cancer of its essential food, glucose, and then its back-up food, glutamate from the amino acid in animal protein, glutamine. In Cancer Watch we have covered several research studies that show people with the highest blood plasma glucose levels get more cancers; and people with cancer who have the highest plasma glucose levels, survive least. Indeed, there is increasing evidence that even more worrisome may be high fructose corn syrup in fizzy soft drinks. While cancer cells must have glucose to metabolise, healthy cells can use other foods such as fat. The process is termed ketosis. Starve the body of glucose by providing calories in the form of good fats and you may well be able to starve, and therefore kill off, the cancer. However, fat is also a driver of cancer. People with the highest levels of blood fat get more metastases and survive least. So Seyfried, when I met him, totally agreed that people should consume healthy fats like olive oil, fish oils, avocados and nuts and seeds, not saturated fats liike dairy, fatty meats, red meat, lard and coconut oil. There is also some evidence that some cancer cells may be able to switch to glutamine, an amino acid from protein. And also that high protein drives the mTOR pathway which causes cancer cell proliferation. So restricted protein consumption seems important too. But only 8% of calories? This is extreme - and many people who think they are on the Ketogenic Diet actually are not. Quite often they are consuming high levels of saturated fat and are closer to an Atkins diet, with no carbs and lots of meat. Cancer patients need to be wary of fat - in particular ’bad fat’ or ’saturated fat’. There is an increasing number of studies in Cancer Watch showing that high plasma levels of bad fat encourages more metastases. In contrast, high levels of good fat (Extra virgin olive oil, avocado, nuts and seeds, fish oils) have the opposite effect and restrict metastases (for example, see here). The question is therefore: Since ketosis will occur under starvation conditions anyway, do you need to employ the quite arduous Ketogenic diet, or can you merely go on a regular 3-5 day fast, and then use a Rainbow Diet in non-fasting periods? Many factors are at work during fasting, including less aggressive hormone production, less circulating ‘bad’ cholesterol, glucose deprivation and sirtuin stimulation. Sirtuins are highly protective hormones known to be produced under conditions of food deprivation. Food deprivation is also (not surprisingly) associated with leaner bodies. A thinner body would have lowered fat stores and fat is the precursor of oestrogen, a hormone known to stimulate many cancers. Fat is also a wonderful solvent and so a body with less fat stores contains less dissolved toxins. This is less important around your waist that it is around your organs. This fat you cannot see is called visceral fat and it is now thought capable of bathing your internal organs in a slew of toxins, which dieting might avoid. Certainly research on exercise has shown that visceral fat starts to liquefy after only 15 minutes of exercise. A few years ago, we covered research from Northwestern Medical School in the context of breast cancer patients. This showed overweight women survived less that women of optimum weight. Interestingly it concluded that it was never too late to start, and that women who cut their weight to correct levels did survive longer. All this fits with the American Cancer Society’s 2012 Research Report that stated there had been an explosion of research into complementary therapies since 2006 and that there was overwhelming evidence that diet, exercise and weight control could improve survival times and even prevent a cancer returning. It was interesting to read the story of a lady who wrote into CANCERactive after we ran a story on Calorie Restriction in our e-magazine, telling us how her Doctor father who specialized in cancer achieved remarkable results by putting his patients on a water-only fast before treating them. The next correspondence came a Doctor from India who puts everybody he receives on a fasting regime at the outset after diagnosis and does not start treatment for a couple of months. He claims that results are impressive and that fasting starves the cancer more than the patient. Research would suggest that is correct. Of course, many cancer experts will point to the severe weight loss involved in cachexia and its dangers. But this is a very different issue – it is an uncontrolled weight loss caused by the side-effects of the chemotherapy drugs and side-effects such as nausea reducing the desire to eat. This is not a controlled weight loss but a drug-induced illness. Research with lung cancer patients on chemotherapy showed that omega-3 from fish oils could help people regain their appetite and weight, avoiding cachexia. It may be true for other cancers. But then eating bad fats has been linked to poorer survival rates in women with breast cancer, whereas eating good fats (like omega-3 and extra virgin olive oil) has been linked to increased survival times. And so we come full circle to Calorie Restriction and the Ketogenic diet as two options. Interestingly, in Cancer Watch we also covered recommendation on diet from MD Anderson and Sloan-Kettering which are in stark contrast to the recommendations of the UK NHS for patients on chemo. While the UK NHS has an ‘eat lots of calories, lots of sugary buns, milky sugary tea, even cheeseburgers and milk shakes’ approach, the two top American Hospitals tell people to eat nutritiously and carefully, to provide plenty of nourishment and vitamins and minerals. To top it all, the National Cancer Institute have published their own research showing a bad diet can help cancer stem cells at the core of tumours to re-grow, while a healthy diet can prevent this – the bioactive natural compounds included were curcumin, EGCG from green tea, piperine, theanine and choline, vitamins A and E (the all natural 8 variety version), genistein, and resveratrol and sulphoraphanes, all of which, they said, you could find in supplements. So, should fasting be part of your integrative cancer programme? And is that a total, water-only fast? Should you maintain some intake of anti-cancer natural compounds? Let’s amplify what we have said above. The National Cancer Institute in America is interested in fasting because they recognize that the foods you eat can affect the way your body absorbs and reacts to drugs. For them, fasting may well be a way of helping chemotherapy deliver better results, with less side-effects and more cost-effectively. They quote the work of Dr. Valter Longo, a professor of gerontology and biological science at the University of Southern California (USC) who in various studies since 2008 has shown that fasting for two to three days, protected healthy cells in both cultures and living mice with cancer tumours from chemotherapy drugs without protecting cancer cells. They called this ‘differential stress resistance’. The researchers then published a study of 10 elderly cancer patients who voluntarily underwent short-term fasting before and/or after chemotherapy. The patients reported far fewer side-effects. In 2012 in response to arguments that fasting might promote cancer growth, the same team produced further research (Science Translational Medicine; 7 March 2012) showing that fasting makes cancer cells more sensitive to chemotherapy. Fasting actually stopped cancer cells producing protection proteins from their mutated genes, while healthy cells made more protective proteins. As a result the healthy cells stop dividing and are less attacked by the chemotherapy resulting in lowered side-effects. In some combinations of fasting and chemotherapy the tumours actually disappeared. So fasting can improve effectiveness. And reduce the side-effects of chemotherapy. But the team identified a second factor working against the cancer cells: Fasting, of course, deprives a cancer cell of glucose. Dr Longo describes these as two stressors acting simultaneously. Indeed, in animal studies (mice with implanted breast cancer, melanoma or glioma cells) short-term fasting alone delayed tumor growth to the same extent as treatment with the drug cyclophosphamide! In mice with cancer, fasting plus chemo significantly increased survival times and metastases. The UCS team showed that mice with brain tumours who fasted had a 20 to 40 per cent longer remission period. Three clinical trials are now planned helped by Dr Longo and his work. Furthermore, a group of 12 cancer centres across the world is planning two clinical trials – one at whether fasting can reduce chemo side-effects; the other at whether fasting can improve chemotherapy effectiveness. 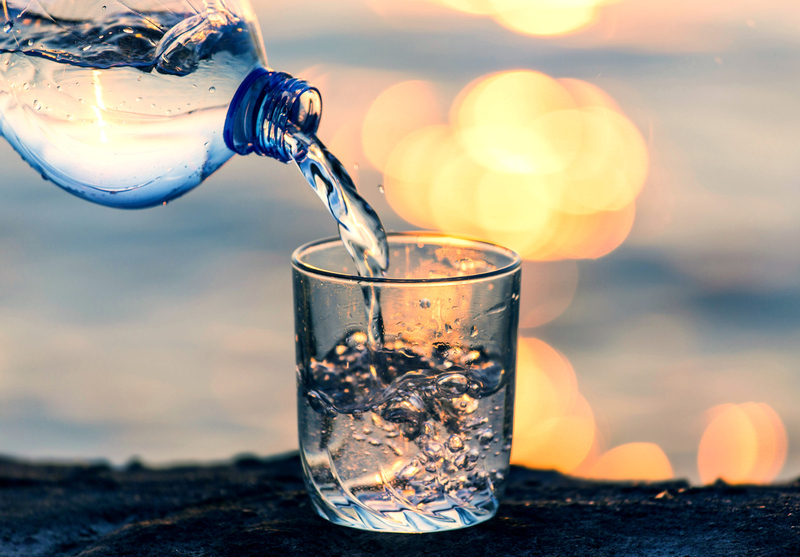 According to USC research, 70 per cent of cancer patients would refuse a water-only fasting regime if offered. So, to mask this problem, a product called Chemolieve has been developed which provides no nutrients to cancer cells! However, pharmaceutical companies might not be so happy if fasting (or what is now being called ‘The Food Effect’) means less drugs are needed. Elsewhere on this website we have already covered how some foods negatively react with some drugs. But some foods aid the action of other drugs. And now some pharmaceutical companies are even suggesting that fasting would allow the use of greater volumes of their drugs! Some cancer ‘experts’ are warning that people with diabetes are at risk if they were to fast. There is no doubt you should check this with your doctor. But there is strong evidence that a three to five day diet actually helps the 70 per cent of Western populations who have ‘insulin resistance’. Research is clear that insulin levels decrease in a fasting body. Michelle Harvie at the University of Manchester, UK has studied women whose family history puts them at high risk of developing breast cancer. Half of her subjects went on a 25 per cent calorie restriction diet while the others did a two day a week fast. After six months, both groups showed a reduction in blood insulin levels, but this was greater in the fasting group. Studies are now underway looking at levels of breast cell mutation. Research showed levels of IGF-1 (Insulin-like Growth Hormone) also fall significantly, and quickly. Both insulin and IGF-1 are linked with higher rates of cancer. Alternate day fasting has been linked with lowered ‘bad’ cholesterol and blood pressure, according to researcher Krista Varady of the University of Illinois-Chicago. Professor Roy Taylor and Professor Mike Leen in the UK have been reversing type-2 diabetes by using a juice fast. It defats the liver, which in turn reduces bad fat levels in the blood, and this defats the pancreas allowing it to work properly again and produce the correct amounts of insulin. There is much to benefit a cancer patient here - a clean liver, a pancreas that works again and a reduction in blood bad fat levels to start! Longo’s team at USC found that a 48 hour fast slowed the growth of five of the eight cancers they were studying. In a March 2013 paper by the Max-Planck Institute in Germany, they argue that tumour cells often lie dormant in the body with as many dying off as replicating. When an event to change this occurs, it usually sees messenger compounds being produced which stimulate blood supply development and therefore tumour growth. The Institute argue that the obvious step is to stop nutrients feeding this change, leaving the dormant cells in a harmless state. Their work, entitled ‘Fasting time for cancer cells’ looks at lung cancer. We have probably saved the best until last: Boston College biology Professor Dr. Thomas N. Seyfried is a firm advocate of using fasting in the treatment of cancer. 1. Impaired cellular energy metabolism is the defining characteristic of nearly all cancers regardless of cellular or tissue origin. 2. Genomic instability and essentially all the hallmarks of cancer, including aerobic glycolysis (the Warburg effect), can be linked to impaired mitochondrial function and energy metabolism. 3. A view of cancer as primarily a metabolic disease will increasingly impact approaches to cancer management and prevention. 4. Although no specific gene mutation or chromosomal abnormality is common to all cancers, nearly all cancers express aerobic glycolysis, regardless of their tissue or cellular origin. Aerobic glycolysis in cancer cells involves elevated glucose uptake with lactic acid production in the presence of oxygen. This fact is used in tumour imaging studies. Genes for glycolysis are overexpressed in the majority of cancers examined. 5. Cancer cells would therefore arise from normal body cells through a gradual and irreversible damage to their respiratory capacity. Aerobic glycolysis, arising from damaged respiration, is the single most common phenotype found in cancer. 6. Warburg’s idea on the primary cause of cancer, i.e., the replacement of respiration by fermentation (glycolysis), was only a symptom of cancer and not the cause. Emerging evidence questions the genetic origin of cancer and suggests that cancer is primarily a metabolic disease. 8. If cancer is primarily a disease of energy metabolism, then rational approaches to cancer management can be found in therapies that specifically target energy metabolism. 10. Besides lowering circulating glucose levels, dietary energy restriction elevates circulating levels of fatty acids and ketone bodies (β-hydroxybutyrate and acetoacetate). Fats and especially ketone bodies can replace glucose as a primary metabolic fuel under calorie restriction. 11. The shift from the metabolism of glucose to the metabolism of ketone bodies for energy is due largely to the shift in circulating levels of insulin and glucagon, key hormones that mediate energy metabolism. Insulin, which stimulates glycolysis, is reduced under dietary restriction, while glucagon, which inhibits glycolysis and mobilizes fats, is increased. Glucose reduction not only reduces insulin, but also reduces circulating levels of IGF-1, which is necessary for driving tumour cell metabolism and growth. Glucocorticoids, which enhance glucagon action and the stress response, are also elevated under dietary energy restriction. The shift in levels of these metabolic hormones would place greater physiological stress on the tumor cells than on normal cells since the tumor cells lack metabolic flexibility due to accumulated genetic mutations. 12. Proof of concept for cancer metabolic therapy was illustrated for the management of malignant astrocytoma in mice, and malignant glioma in children. Prostate and gastric cancer also appears manageable using low carbohydrate ketogenic diets. Recent studies show that dietary energy restriction enhances phosphorylation of adenosine monophosphate kinase (AMPK), which induces apoptosis in glycolytic-dependent astrocytoma cells, but protects normal brain cells from death.. This further illustrates the differential response of normal cells and tumor cells to energy stress. All references can be found by referring to the article. His final views may overcome the ‘What about cachexia?’ critics. I quote, ‘It is important to recognize that pro-cachexia molecules such as proteolysis-inducing factor are released from the tumor cells into the circulation and contribute to the cachexia phenotype. By targeting the glycolytically active tumor cells that produce pro-cachexia molecules, restricted diet therapies can potentially reduce tumor cachexia. These therapies could be supplemented with omega-3 fatty acids, which can also reduce the cachexia phenotype. Omega-3 fatty acids from fish oil also have the benefit of maintaining low glucose while elevating ketone levels. Once the tumor becomes managed, individuals can increase caloric consumption to achieve weight gain’. In 2012 Cancer Watch covered research studies showing that fish oils did indeed reduce cachexia levels in lung cancer patients. It is quite clear that there are a number of, sometimes dangerous, myths that abound in modern medicine. One such myth starts with the fear that drugs might produce death from cachexia and results in UK hospitals recommending diets that might feed the very cancer the patient and the oncologist are trying to beat. It is becoming increasingly clear that cancer cells are inflexible and need specific nutrients to encourage their growth, and without these nutrients the cancer withers. Maybe not all cancers, but many. Glucose is clearly one such nutrient, although there undoubtedly are others. Fasting reduces plasma glucose, IGF-1 and insulin levels, starts to clean and de-fat both the liver and the pancreas and produces a state of ketosis which clearly has health benefits, one of those being to deprive cancer cells of nutrients. Cutting protein consumption has further anti-inflammatory and cancer-driving mechanisms. Overwhelmingly, the work of Valter Longo shows us that cancer cells and healthy cells have a different reaction to calorie restriction and fasting. Healthy cells shut down their metabolism while cancer cells keep going. Fasting alone can produce cancer cell death - fasting before and during chemo can achieve even better results and allow you more chance of avoiding the damaging side-effects. Interestingly, when this article first appeared, I received several letters of praise from oncologists in America, where it seems to be quite a ’hot topic’. Thank you. 1. Mattison JA, Lane MA, Roth GS, Ingram DK. Calorie restriction in rhesus monkeys. Exp. Gerontol 2003;38:35–46). 3. Longo, V. 2012. Fasting Cycles Retard Growth of Tumors and Sensitize a Range of Cancer Cell Types to Chemotherapy. Science Translational Medicine.